October 10, 1985, was the one hundredth anniversary of the admission to the bar of the Supreme Bench of Baltimore City of Everett J. Waring, the first black lawyer admitted to practice before the state courts in Maryland. 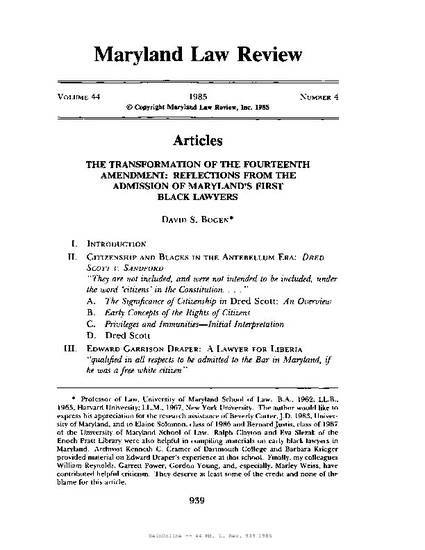 This article explores the efforts of African-American lawyers to establish the right to practice law in Maryland and their role in the larger struggle for political and civil rights. 44 Maryland Law Review 939 (1985).